Welcome to Cassio Builders, LLC. Where we pride ourselves in working to provide the best value, quality and services we can. In fact, it is our daily mission to be head and shoulders above our competition. We have much to offer as your custom home builder. Our leadership has years of experience in a wide area of services that are crucial to making your home building experience valuable and enjoyable. It is this rare combination of experiences that make us fairly unique when compared to most other custom home builders. Offering professional solutions, creativity and resources that are unmatched. 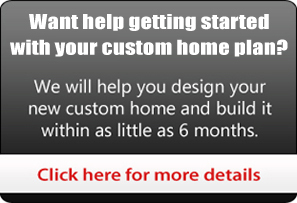 As your custom home builder, we want you to feel good about your experience with us from start to finish. We will work hard every day to provide the level of service, quality and professionalism required to earn the trust, gratitude and respect from you and every third party associated with the construction of your custom home. Providing everyone with a rewarding experience. At Cassio Builders, LLC, we realize that referrals are not given, they are earned. It is our hope to earn the right to one day build homes for your family, friends, co-workers and more. Let us start working on that relationship with you today. We will make you glad you did. You choose what capacity we will help you with; turnkey building services, consultation, project management, even work with you in an owner-builder capacity and also guide you through financing. Contact us today to get started or feel free to continue searching around our site before you take that step.